The Pricing Engine stores several prices in price lists which can be assigned to different contexts with conditions. The whole architecture is designed for use cases where an ERP or PIM system is managing the prices. 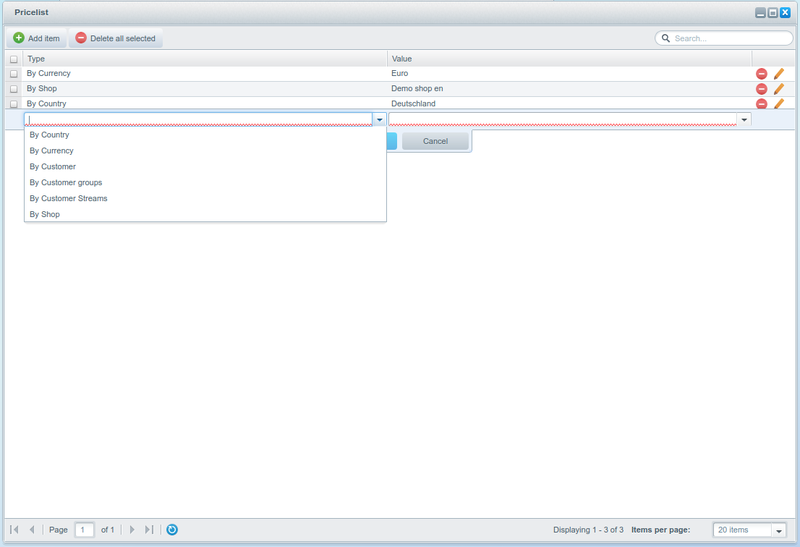 So no backend view is present for adding, inserting or deleting prices. 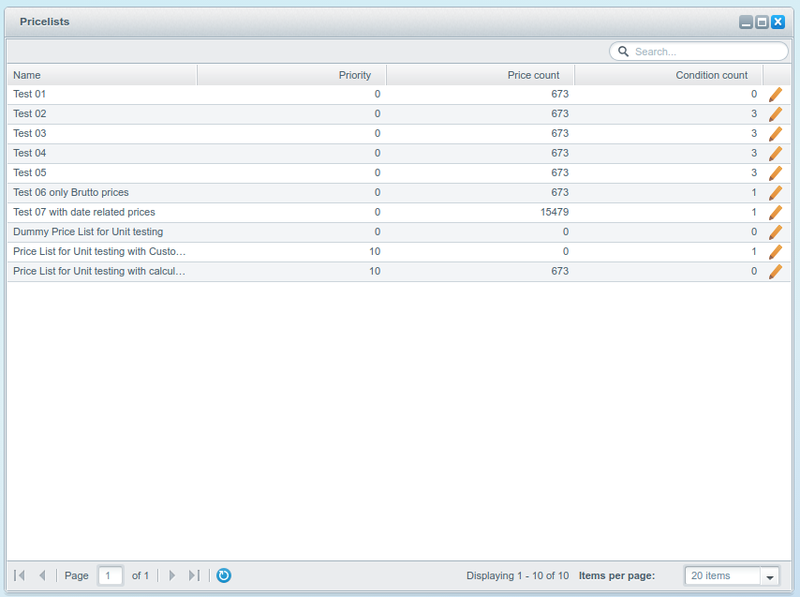 So the backend offers only a view to manage the conditions for the imported price lists. 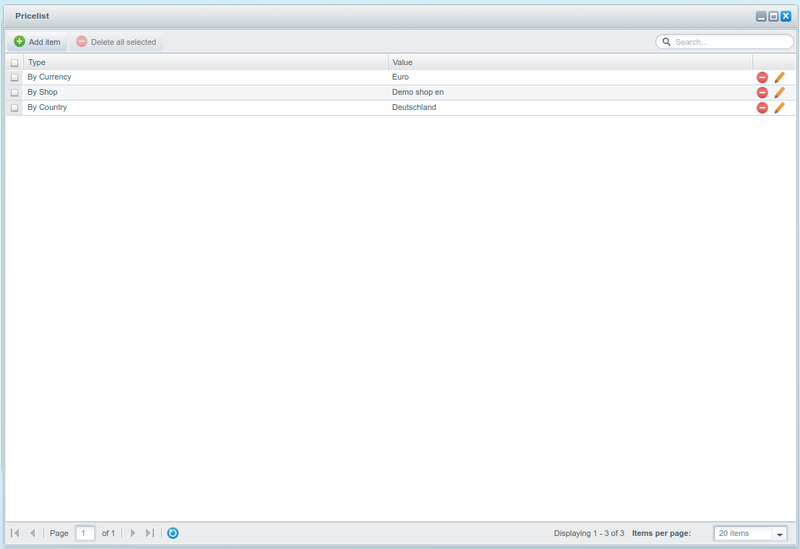 For controlling purposes there is a separate tab added in the product detail view. In this view you can see all configured prices for this product and filter it by the existing price lists. You can find the Pricelist backend view under Items -> Pricelists. Now you will see an overview of all imported pricelists. All information about each pricelist is present there like name, priority, price and condition count. With clicking on the edit button the Pricelistdetailview will open and you can see the created conditions for this list.